If there was a live action Zelda movie officially released, who would you want to see in it? We recently got to see the low budget fan film The Hero of Time, in which the cast was filled with no-name actors. All the way back almost two years ago we got a fake Zelda movie trailer from IGN, in which the cast was filled with more unknown actors. What if it wasn’t? What if we could make our own dream cast of Movie stars to fill the role of the Zelda characters? The guys over at 8daysageek have done just that. 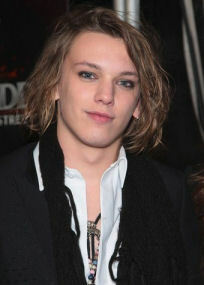 The man you see pictured to the right is Jamie Campbell Bower, and that is their choice to play Link. Listed below is their full roundup of their dream Zelda cast. So who do you think would be the best fits for a Zelda movie? Let us know by posting your dream movie cast in the comments below.